Leicester boxer Lyon Woodstock (11-1) has taken a swipe at British super featherweight champion Sam Bowen (14-0) as he eyes up a future clash against his fellow Leicester native. Both fighters will be in action in Leicester on Saturday February 23rd at the Morningside Leicester Arena with the British champion, Bowen, headlining the event when he defends the Lonsdale belt against Dundee’s Ronnie Clark. Ronnie Clark created an upset last year when he beat undefeated prospect Zelfa Barrett against the odds and 25-year-old Woodstock believes Clark could prove to be a challenging opponent for Bowen when they meet next month. “I think it’s going to be a tougher fight than what people are thinking to be honest. “I don’t think Sam is going to blow Ronnie Clark away, he’s not a pushover like that, he’s a good fighter. He’s been in combat for a while now so I can’t see him just getting blown away by Sam. Bowen introduced himself to the BT Sport cameras last time out when he stopped Argentinian Haracio Alfredo Cabral in the fourth round by a brutal body shot in October 2018 to add the WBO Intercontinental title to his belt collection. 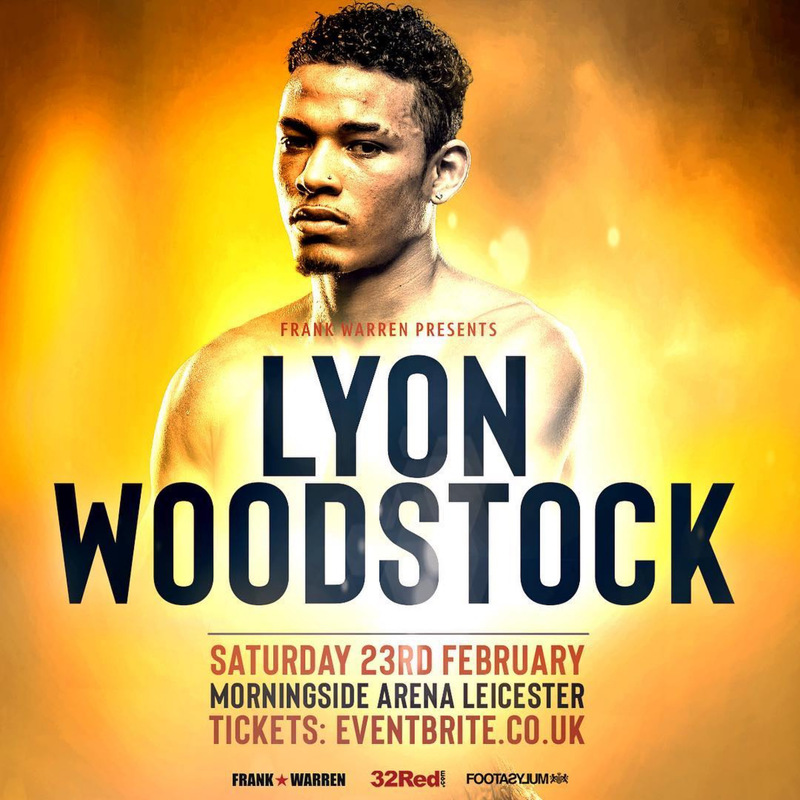 On the same show, Woodstock lost his WBO European title to Archie Sharp in a close, entertaining contest and will have the opportunity to get back to winning ways on February 23rd. Victory will set the Beaumont Leys fighter back on course towards big, domestic showdowns; with Bowen and his British title certainly on his radar. A potential clash between the two would feel like a long time coming for Woodstock. “We offered him the fight twice in the amateurs.” He recollects. “Remember that he’s had over a hundred fights [Bowen 93-17 as an amateur] and the first time we offered him the fight I’d only had sixteen and they weren’t keen on it. “I got rated third in the country and I only had twenty-something fights and he’s had over a hundred and he’s never even got to that, so it speaks for itself. “I know my own levels and what I’m capable of and what I’m going to be able to do when that fight comes. It’ll be a good fight and it would be a fan favourite fight because a lot of these Leicester people are divided between Woodstock and Bowen. Headlining the show at the Morningside Arena is the British super featherweight title showdown between the champion Sam Bowen from Ibstock in Leicestershire and Ronnie ‘The Shark’ Clark from Dundee. Co-headlining the show will be light heavyweight Anthony Yarde as he takes on former European champion Mehdi Amar. Local fighters CJ Challenger and Kyle Haywood do battle for the vacant Midlands Area super welterweight title, with Lyon Woodstock, Ryan Garner, Tommy Fury, Ryan Hatton and Mark Chamberlain also featuring on the card. Tickets priced at £40, £60, £100 & £150 are available and on sale NOW via Eventbrite.